Vector East Asia Dragon Boat Festival. 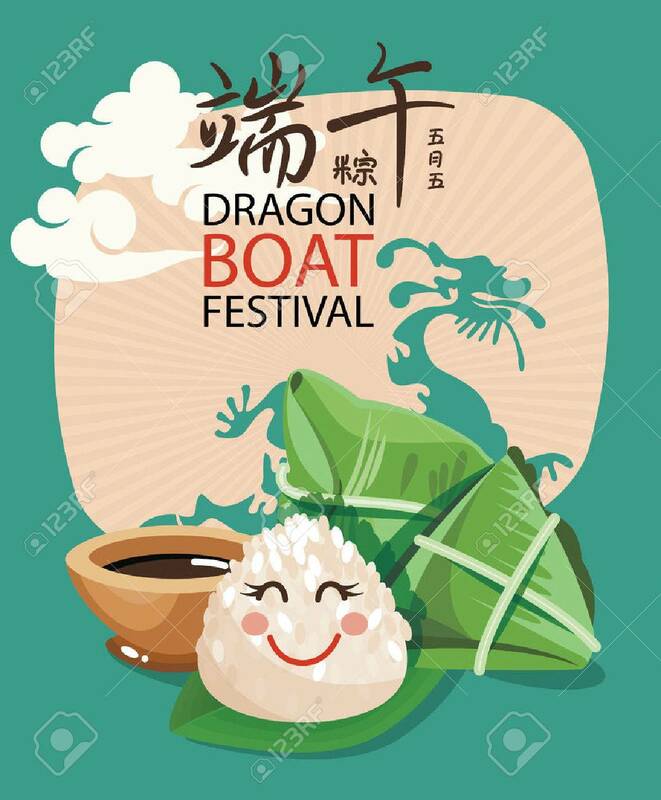 Chinese Text Means Dragon Boat Festival In Summer. Chinese Rice Dumplings Cartoon Character And Asian Dragon 免版稅剪貼畫，向量插圖和股票. Image 61589194.